So begins Chapter 22 of Peril at End House, Agatha Christie’s 1931 mystery. The suspects are gathered at End House, frightened and baffled all. Hercule Poirot, master detective and proprietor of the most efficient little gray cells on the planet, proffers a complete explanation of the mystery, pulls one final ace from his sleeve, and Inspector Japp pounces upon the murderer. 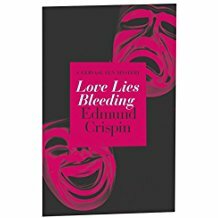 I’m thinking about endings at the moment, because I’ve just read Love Lies Bleeding by Edmund Crispin, originally published in 1948 and recently revived in e-book form. Happily nestled in a cozy setting (a mildly parodic English public school), the reader encounters a murder scene fairly littered with incomprehensible clues, a rather affected amateur detective – Oxford don Gervase Fen, who drives a very fast car – intrepid schoolgirls and a long-lost Shakespeare manuscript. Unhappily – it made me unhappy, anyway – Fen refuses to discuss his observations or deductions except to suggest that the police and presumably the reader should have made them already. It’s description, dialogue and car chases all the way down. At least, it is until the 85% mark on my handy smartphone e-reader. At that point, the unrecognizable body of the villain has been hauled from his wrecked car, detective and headmaster are back at the school, and Fen proceeds to explain exactly what we should have noticed and deduced. He does this for a very long time. That last 15% was where, as a writer, I learned something. I could see Crispin’s method of creating his book as clearly as if he had personally explained it to me. Fen lays out the course of events, everyone’s actions, motives and even thoughts. Here and there, alternative explanations that might occur to the reader are explained away or dismissed as unnecessary to the main line of deduction. I’m morally certain that Crispin has simply placed his original outline, complete with his second thoughts and his solutions to them, in his detective’s mouth. Once he had the outline, Crispin (IMHO) plucked out his list of clues, clothed them in pieces of necessary action that made striking scenes and trotted Fen through them. The occasional ‘but surely you have already realized…?’ reminds us that Fen is solving the crime – entirely out of the reader’s sight. It didn’t make a satisfactory mystery novel. That is what sent me to Agatha Christie, who regularly wound up her books with concluding explanations by the detective. 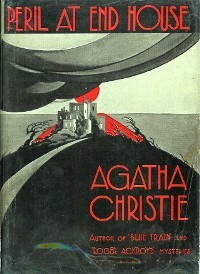 They are shorter than Crispin’s (and crisper), though Poirot does break the Detective Club rule that the reader must have all the clues in his hand before the revelation. 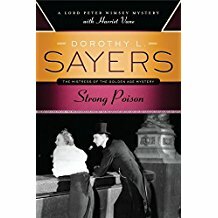 So, by way of contrast, let us consider the ideal, the perfection of the form: the solution of the murder of Philip Boyes, lover of the accused murderer, Harriet Vane, in Dorothy L. Sayers’ Strong Poison. As the book opens, Harriet’s trial has ended in a hung jury. Lord Peter, suddenly in love, has only 30 days to find the real murderer before her retrial. For the first two-thirds of the book, we follow him down blind alleys and through unproductive interviews, unearthing suspects and clues aplenty in vivid, entertaining venues, but no proof. The last of these chapters ends with the collapse of the most promising theory. Then, in a refreshing change of scene and pace, informants whom Lord Peter has planted among the suspects reward his foresight. Miss Katharine Alexandra Climpson – surely Sayers’ most delightful secondary character – unearths the motive. Miss Murchison, who has infiltrated the murderer’s office, finds the means. And rather than instantly deducing the opportunity from these facts, Lord Peter spends a sleepless night struggling to imagine how the crime was committed. Sayers does withhold his reasoning on this one point from the reader, but only for a few pages. For the rabid mystery fan, she even drops three hints: Lord Peter found the answer after consulting these books: “The Trial of Florence Maybrick; Dixon Mann’s Forensic Medicine and Toxicology; … and A.E. Housman’s A Shropshire Lad.” The clues are in the reader’s hands. Using them, Lord Peter proceeds to trap the villain. The latest paperback printing of Strong Poison, first published 1930. So. I think I can see how Crispin produced a passable mystery. It sounds like an exercise worth doing as a start. Now all I need is the wit and the stamina to take the result of that exercise and turn it into the next Strong Poison. 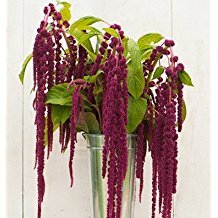 To end on a happy note for less-than-Sayers-level writers: Love Lies Bleeding is a “best seller” on Amazon – in the category of “Kindle kidnapping crime fiction” By some measurement or other, fame awaits us all. 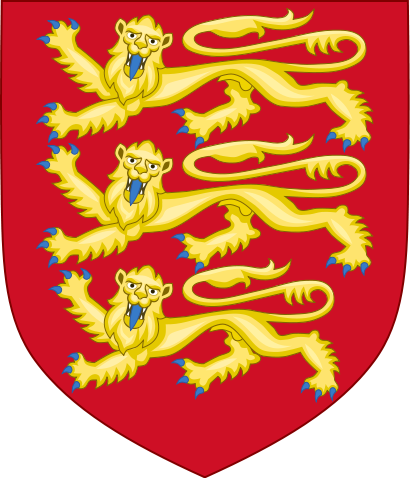 I’ve been spending a lot of time lately with the second son of an English duke. You’ve guessed, of course: I’m devoted to Lord Peter Wimsey, Dorothy L. Sayers’ renowned aristocratic sleuth. There was something of a vogue for detection among the fictional peerage of the mid-twentieth century. The fashion waned and probably received its death blow from the dreary antics of late-twentieth-century royalty. Sayers (imho) made better use of aristocracy, or at least of wealth, than any of her contemporaries. In all too many a mystery, a mink stole or an ancient and expensive brandy drops into the scene for no better reason than to remind the reader that s/he is expected to be enjoying the idea of being rich. Sayers said that she surrounded Lord Peter with just those luxuries she would have loved herself: rare books, one’s own library, top-notch food and drink and presumably Wimsey’s high-powered Daimler, “Mrs. Merdle.” Her genuine delight in Wimsey’s primrose-and-black library, grand piano and excellent wine cellar call forth an equal delight in the reader. With Sayers, this kind of detail is never just color, in the dreadful sense of the word as used by sportscasters. Our longest visit to Wimsey’s library contrasts its beauty and peace with his agony as he struggles to work out a case against a murderer who has framed the woman Wimsey loves. Dining on snails at an elegant restaurant, Wimsey notices that his guest views that dish askance, and calls for oysters instead. Attentive friend blends with money-no-object host. The issue of color is on my mind because my fellow Thursday Night Writer Linda Landrigan persuaded me to try the mysteries of Emma Lathen, a queen of Golden Age detective fiction. Lathen was the nom de plume of two women, Mary Jane Latsis, an economist, and Martha Henissart, a lawyer. Their detective is John Putnam Thatcher, senior vice president of the Sloan Guaranty Trust Company. From his Wall Street office, he solves murders that occur in the world of business, especially high finance. And for me it doesn’t work. 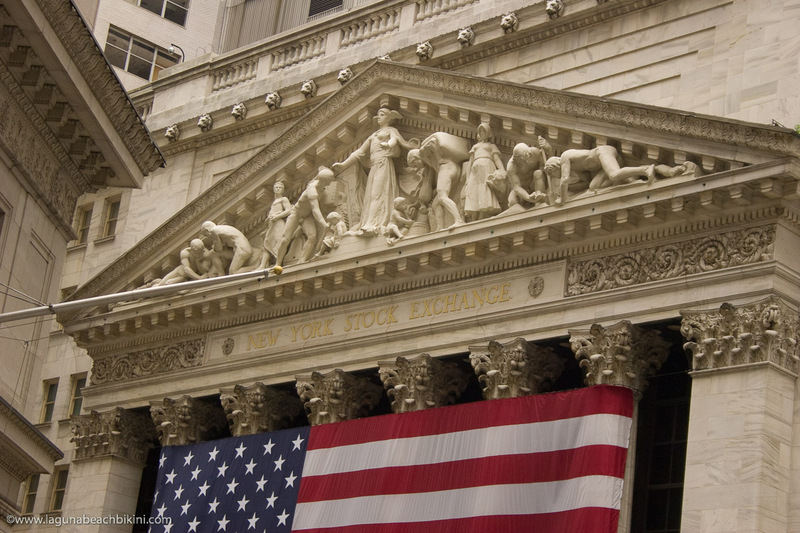 I spent twenty years as an economist for investment firms. What is color to most of Lathen’s readers is just another Monday morning to me. My colleagues were not such buffoons as those Thatcher encounters (though I could have given Lathen a useful vignette or three.) But office life as described by an economist and a lawyer reaches me in pure monochrome. For Lathen’s many fans, it apparently works like a charm. In the end, the characters and plot of Accounting for Murder pulled me in, but I doubt that I’ll read the whole series. And we all know that if you want to sell a mystery these days, and you aren’t an established author, you’d better be able to offer a series that will pull your first readers along with you. So what about the color in my own mystery? In the literal sense, it starts out red, yellow and orange, the colors of fall in the New Hampshire mountains. It goes white and gray with winter, then a damp tan with mud season, and finally, joyously, green with spring. Figuratively, it’s the atmosphere of an Ivy League college, of a retirement home for some of its eccentric faculty, and of the rural village in transition that surrounds it. Enough color? Not enough? Been done already? How about if the protagonist is an anthropologist specializing in African witchcraft? Too much yet? No? How about if I add a couple of ferrets? Okay, enough, right? 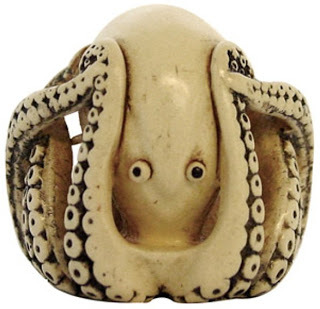 But then I put the octopus in. Maybe I need to rethink this….